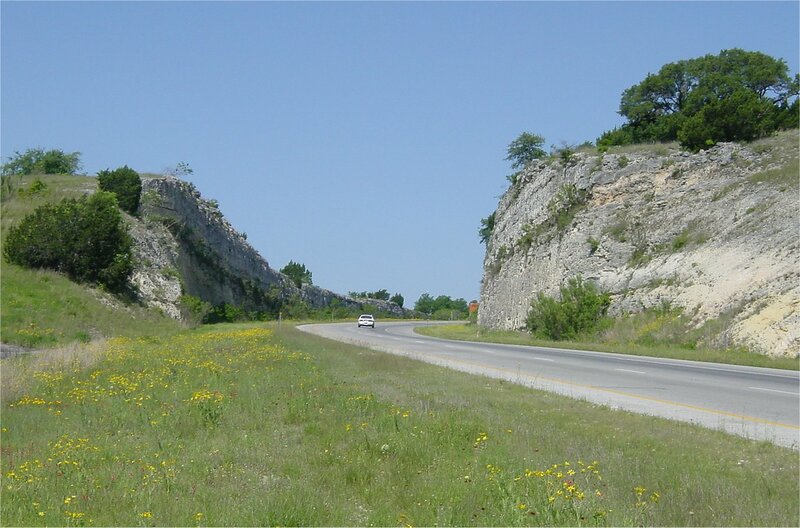 This section of Interstate 10 traverses the rocky hill country northwest of San Antonio. This section of interstate was completed around 1970. (click for high resolution) Looking northwest at Comfort, TX. (click for high resolution) Deer are plentiful in the Texas hill country. If you do some driving in the hill country , you will likely encounter some roadkill. (click for high resolution) This section if IH-10 features some nice cuts through the limestone. This one is small, but interesting since the median was left intact. (click for high resolution) This is a larger rock cut. (click for high resolution) This cut is located in Kerrville.